What is the first thing that bothers every student after the 12th class board exams? What is the one thing that you are reminded of, every second day by your parents or relatives once you graduate from school? Yes, it is your future. What course will you choose? Which universities are you targetting? And so on and so forth. Right before the admissions season is set to begin, the rising cut-offs, the pressure on students, and the difficulty of getting into the top institutes, become hot topics of discussion for the media. The problem comes when deep down you know your marks will not meet the ever-increasing Delhi University cut-offs, and you are not likely to qualify the entrance exams, like JEE, NEET, CLAT, etc. What next, now? 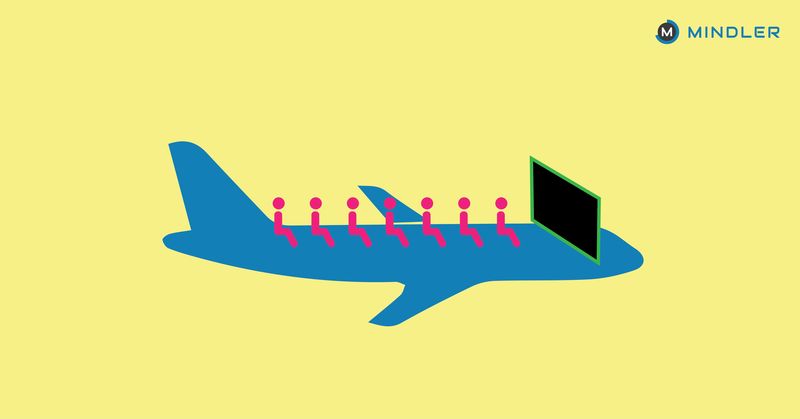 Is your career over? Do you have to drop a year, and prepare again? If you think yes, then you should read on. Lakhs of students sit for the Class 12th board exams every year, yet there are only a limited number of seats available in the top colleges. It’s only natural that not everyone can get into them. But, there are various alternatives that can save your year. For example, if you are looking for courses in Economics, English, History, B.com, Psychology, etc., and assuming that Delhi University is out of your league, then think again. Not all Delhi University colleges demand a minimum of 98%. While getting into the top ones like SRCC, Hindu, St. Stephens, LSR, etc. might be impossible with a lower percentage, there are many other colleges for which you might be able to qualify. Moti Lal Nehru College, Zakir Hussain College, Shyama Prasad Mukherjee College, Rajdhani College, ARSD College, BR Ambedkar College, Satyawati College, etc. 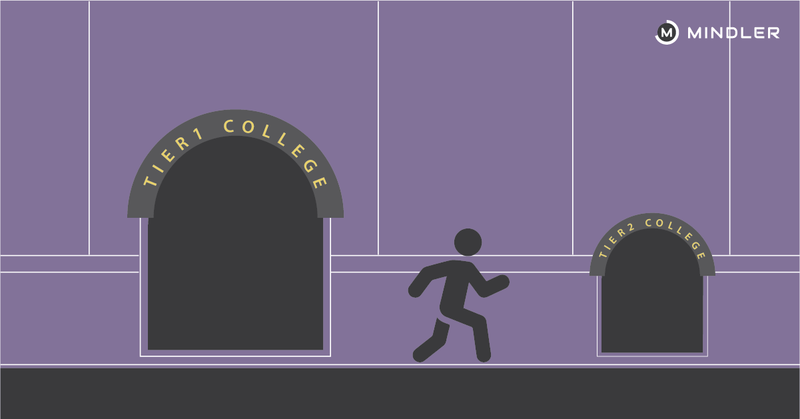 are a few colleges affiliated to Delhi University with lower cut-offs. The same is applicable to other universities. In the end, the degree you receive will not have your college name written on it, and would carry the DU brand name. 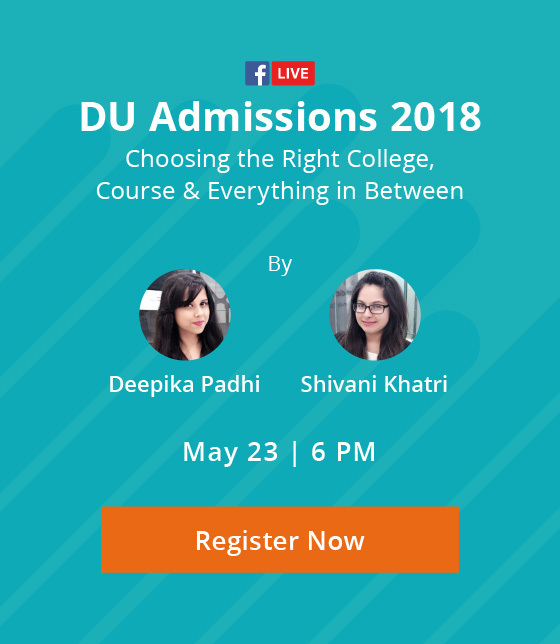 Also, being a DU student will increase your chances of getting into the university at the master’s level, as a certain percentage of seats are reserved for DU students. There are certain excellent universities in India that students often overlook, due to a lack of awareness or misconceptions about the placements, faculty, reputation, etc. 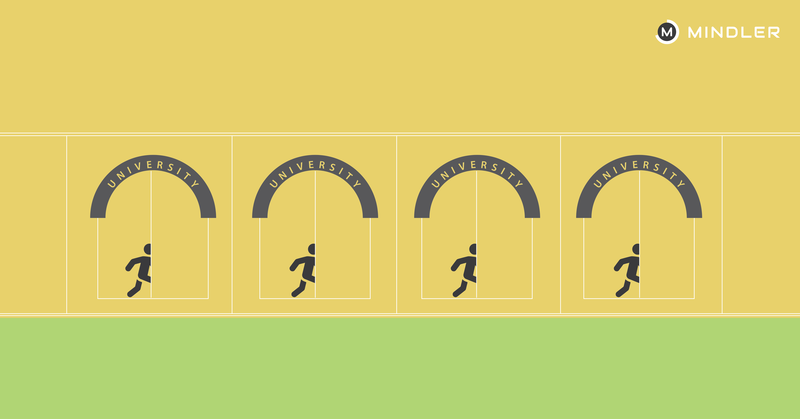 These universities can help you save your year, irrespective of the course you are applying for. For example, if you wish to apply for an English (Hons.) course at Delhi University, and you are unable to get through to any of your targetted colleges, you can consider applying to other universities/colleges, such as Ambedkar University (New Delhi), Jamia Milia Islamia (New Delhi), Mumbai University (Mumbai), etc. These universities have highly qualified and experienced faculty, good placements, valuable exposure to the industry, etc. Universities/ Colleges for Humanities: Christ University (Bangalore), Pune University (Pune), Mumbai University (Mumbai), Presidency College (Chennai), etc. Universities/ Colleges for Science: Fergusson College (Pune), Mumbai University (Mumbai), Panjab University (Punjab), SRM University, Manipal University, etc. Universities / Colleges for Commerce: Guru Gobind Singh Indraprastha University (New Delhi), Narsee Monjee Institute of Management Studies (Mumbai), Symbiosis International University (Pune), Panjab University (Punjab), etc. There are various diploma courses offered in all the streams. Most top universities/colleges including Delhi University, Mumbai University, Jamia Hamdard, Loyola College, Christ University, Banaras Hindu University, etc. offer diploma courses. The duration of these courses varies from a few months to 1 year. These will not only add value to your resume, but will also give you exposure to the field. 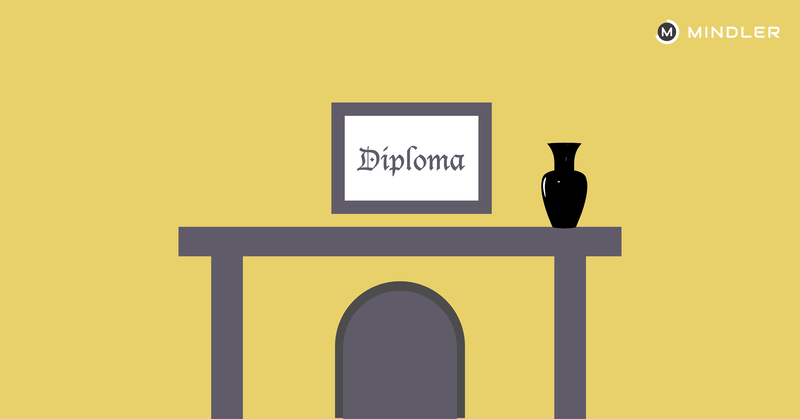 During the diploma course, you will learn the basics of the course, which will be an added advantage once you start with your degree the next year. For example, if you wish to become a nutritionist, a diploma course in nutrition will give you valuable knowledge about nutrition and food principles, various food systems, food science and technology, etc., which will help form a base for your full-time degree course. Hence, you will have an edge over other students during your graduation. If you don’t get into the course of your choice, a good thing to do would be to look for the next best alternative. For example, if you are aiming for a Fashion designing course from NIFT, and are not able to clear the entrance examination for your desired course, you can apply for multiple other courses, such as apparel designing, jewellery designing, accessory designing, etc. During your masters, you can shift back to fashion designing. Also, these alternative courses are similar to the course of your choice and will allow you to study similar concepts. Unsure of the right course for yourself? Take the free orientation style test to know more. Liberal Arts is an upcoming field in India, one that allows you much freedom in choosing your subjects. You are free to select your major (specialisation) and a minor. In this way, you get the opportunity to explore various academic disciplines in the humanities, social sciences, mathematics and natural sciences, and do not stay restricted to the traditional course structure. Admissions to such colleges are done through entrance exams, essays, statements-of-purpose (in some), extracurricular activities, achievements, etc. Hence, even if your academics are not strong, you still have a chance to make it to a top university, provided you have a well-rounded profile. 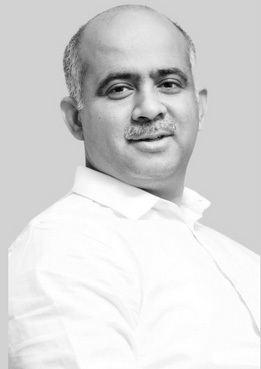 Ashoka University (Sonepat), FLAME University (Pune), Symbiosis School of Liberal Arts (Pune), Pandit Deendayal Petroleum University (PDPU), Narsee Monjee Institute of Management Studies (Mumbai), Shiv Nadar University (Delhi NCR), etc. 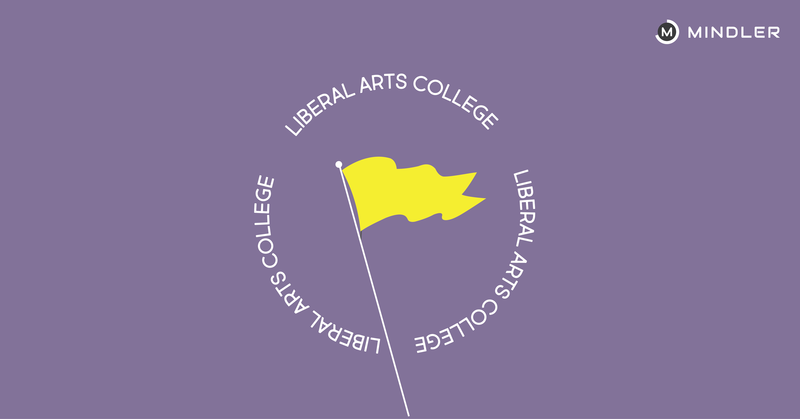 offer courses in Liberal Arts. Admission to foreign universities is based on much more than just your high school percentage, and considers your whole profile. IELTS/TOEFL scores, statement-of-purpose, letter of recommendation, extracurricular activities, social work, etc., are a few important parameters to get through to foreign universities. Thus, even if you have not been able to maintain very good academics, you can still make up for it through a solid profile, by engaging in extra-curricular activities, social work, co-curricular projects, etc. It is very important to build your overall profile to get into a decent overseas college, as an average college will not solve the purpose, due to the high cost. Also, admissions to foreign universities will require advanced planning on your part, since application preparation needs to start almost a year before, in most cases. If you believe that getting into Indian universities is a tough task, and you don’t wish to complete your education from a tier-3 college in India, applying to overseas colleges can be a smart move. Confusion and worry about your career after class 12th is quite common. 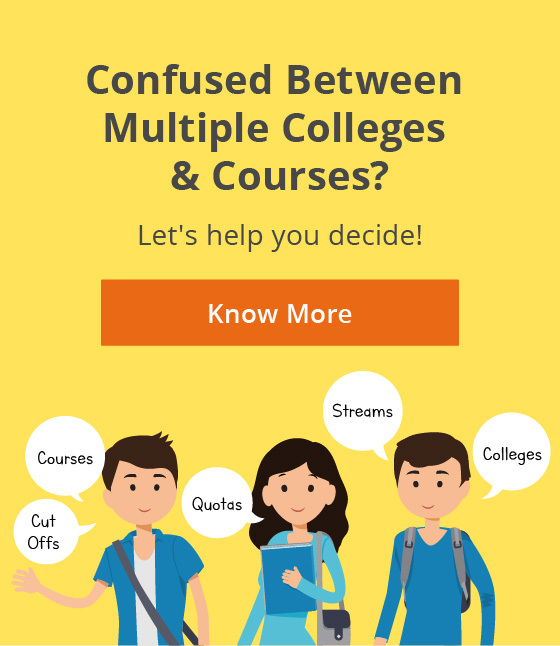 Finding the right college-course combination with a low percentage can prove to be a difficult task, and students tend to take impulsive decisions at this stage, due to lack of information and guidance. As this is the most crucial stage in your life, a single mistake can cost you a lot. If you want to avoid making a mistake, consulting experts/counsellors in this area is the best possible solution. They will not only provide you with exhaustive information about courses and colleges, they will make sure that you end up choosing the best course and college according to your skill set and aptitude. 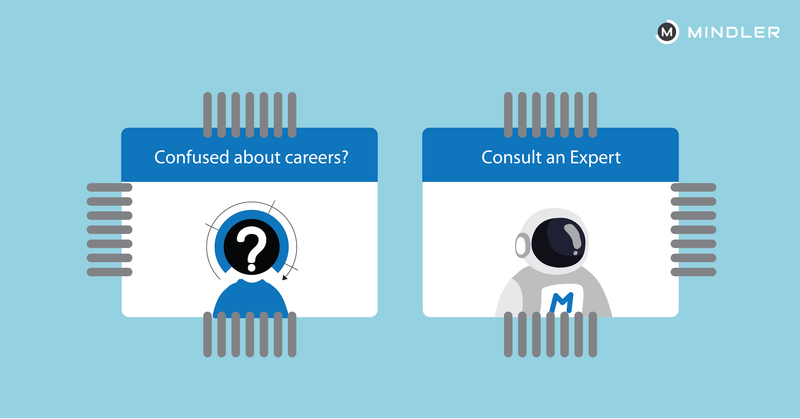 Talk to Mindler Career Experts to get the right guidance for your career. Schedule a free 15-min counselling call. 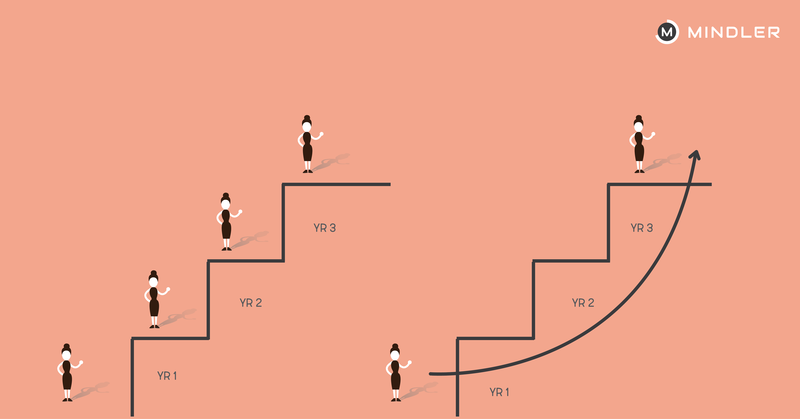 Thousands of students suffer the same problem of low grades, and 4 out of 10 either end up in a third-grade college or drop a year. While it is okay to get low grades, spoiling your career because of them, is not the smartest of moves. Follow the above-mentioned tips, and be prepared to research, make backup plans, and secure your future. Want to avoid dropping your year?